Good morning!! Summertime often marks the time for celebrations and parties. 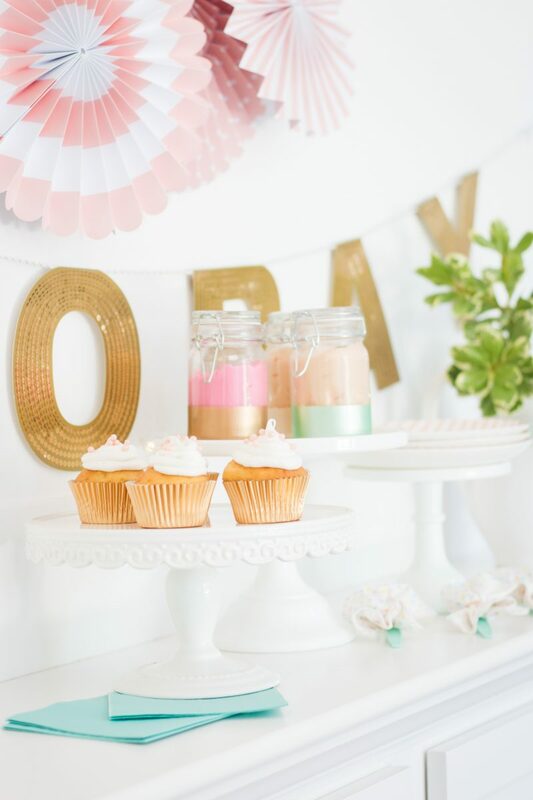 I love a great party and it’s no secret I like to keep things simple. But simple doesn’t mean you can’t put your own personal touch on something. 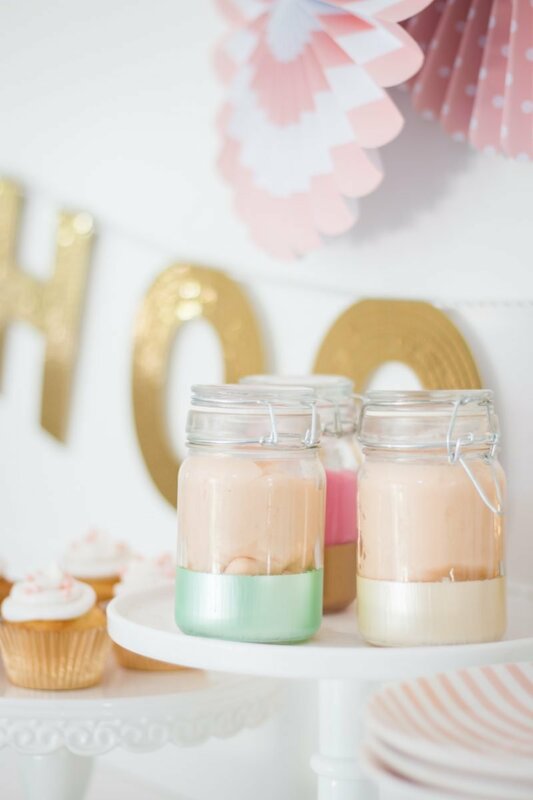 Sharing a colorful way to create DIY party favors for your next children’s soiree. They are filled with homemade play dough and so easy to make. I stumbled upon these mini jars at Michaels and knew I had to use them. 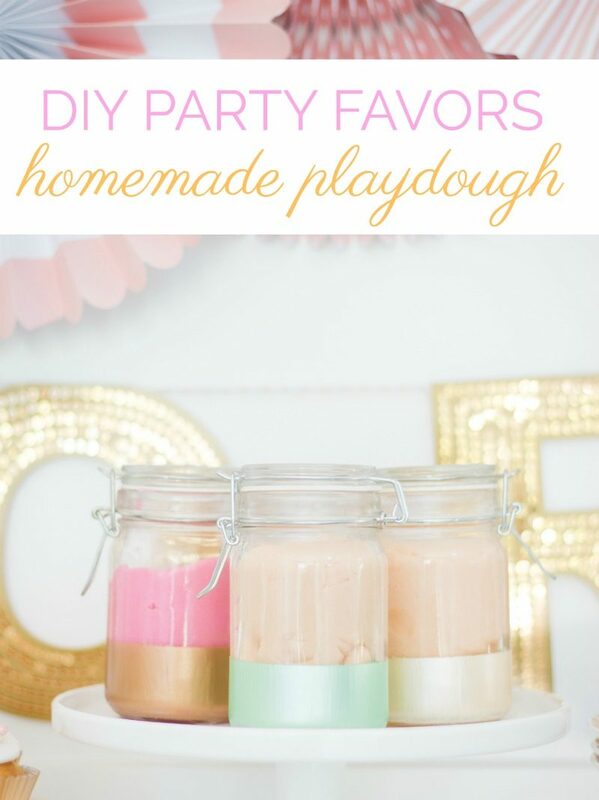 They were only $2 and are such a fun way to serve up homemade play dough as a party favor. Of course you could also fill them with colorful jelly beans or gum balls, too. 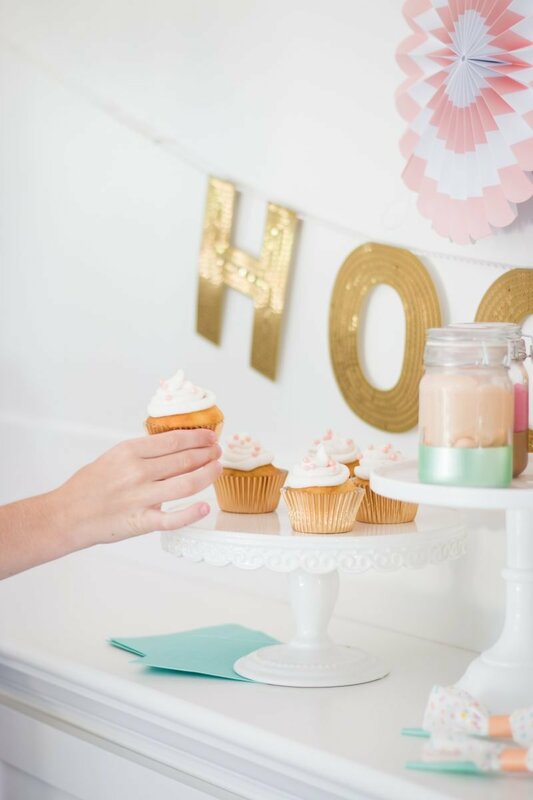 I think more and more moms are looking or non-sugary ideas to pass out at the end of a party. Plus, the homemade play dough is non-toxic and can lead to hours of entertainment. 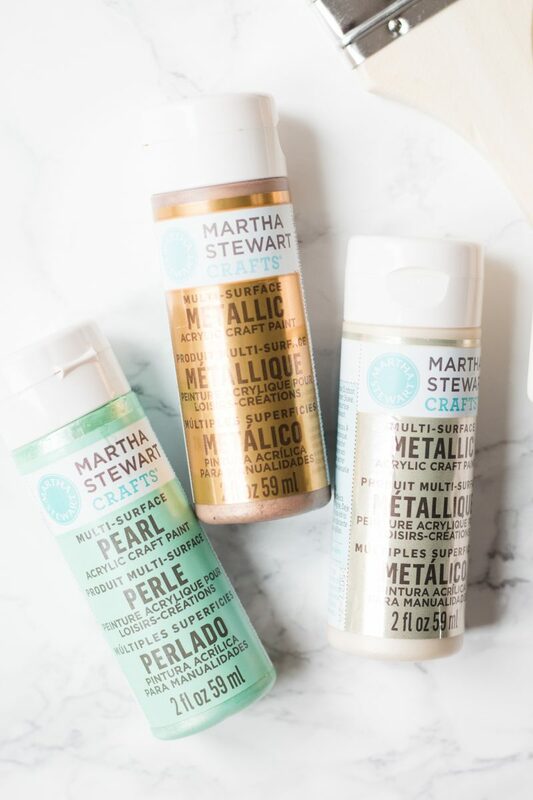 Martha Stewart has a new line of metallic paints and I am in love with the “Pearl” line of paints. They are so beautiful. Both the pearl and metallic paints offer such a pretty sheen. I picked mine up at Michaels. This color! So good. It’s called Mint Chip. 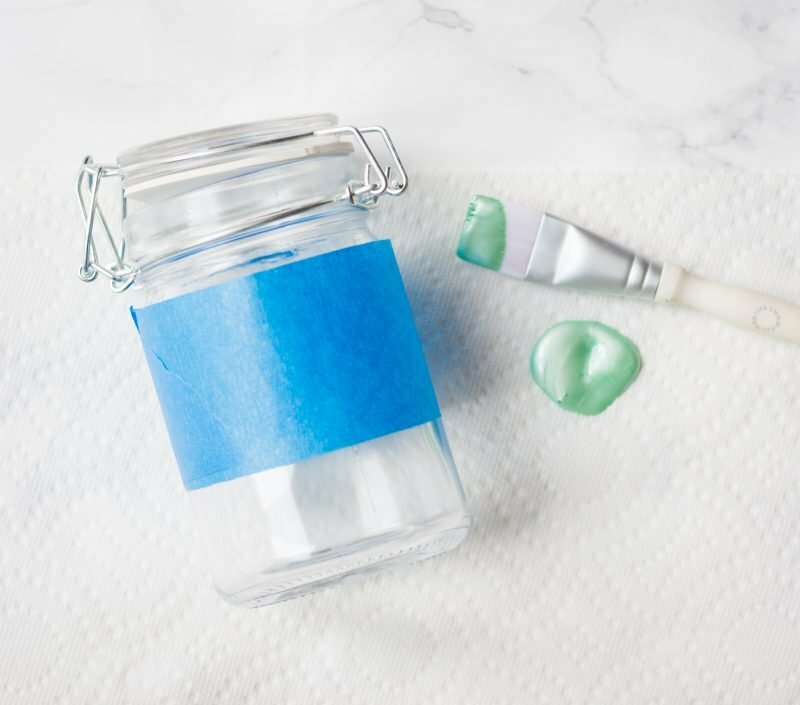 All you need to do is tape of the jar and paint away. 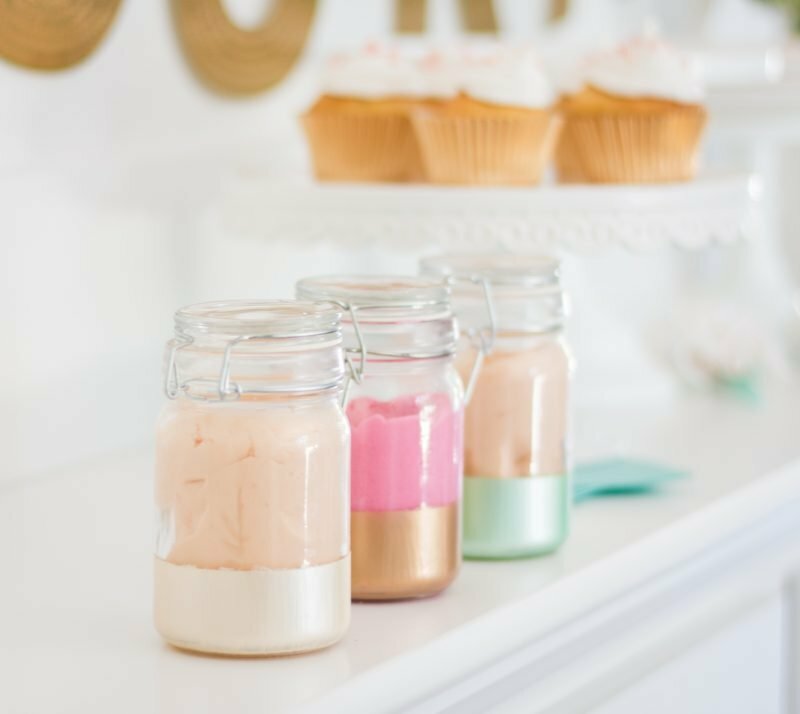 These party favor jars required three coats but each coat takes less than a minute to paint. So simple. I painted a coat and then went on with my day. I revisited the jars two more times throughout the day and then they were done. 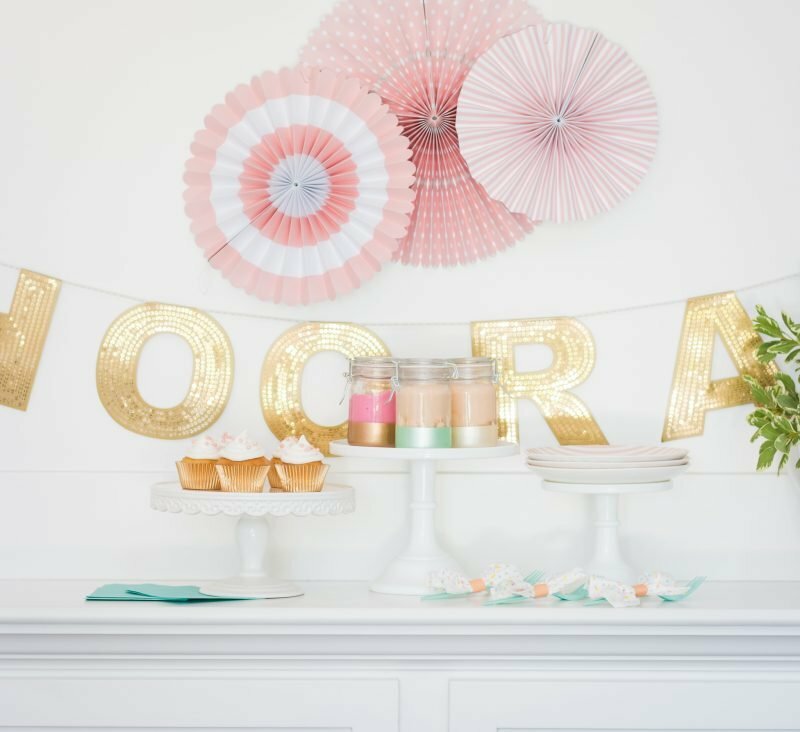 Even if you DIY isn’t your thing, you can pull these off and it adds a little something special to your party setup. I filled each one with play dough. The pretty peach color was created by adding just one drop of orange food coloring. I have to thank my readers who all sent me great recipes for play dough. I tried Lauren’s and it worked like a charm. We ended up adding a tad more flour the next day and then it was perfect. Just be sure you make the play dough a day or two before your party to give it time to cool and harden. So much fun. My daughter plays with it everyday. She made the dough and I painted the jars so it was a team effort. Stir over medium heat until it starts to thicken. Add natural food coloring and stir. Thickens as it stands. Store in airtight container. 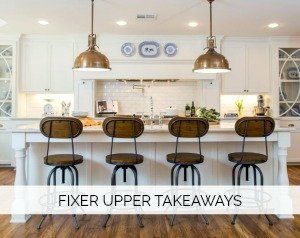 While warm, it can be sticky but it lessens as it cools and after use. If the dough is still too sticky the following day, add a pinch of flour. I also discovered The Sweet Tooth Fairy line and had to restrain myself. So many darling things. Why didn’t I think of this? 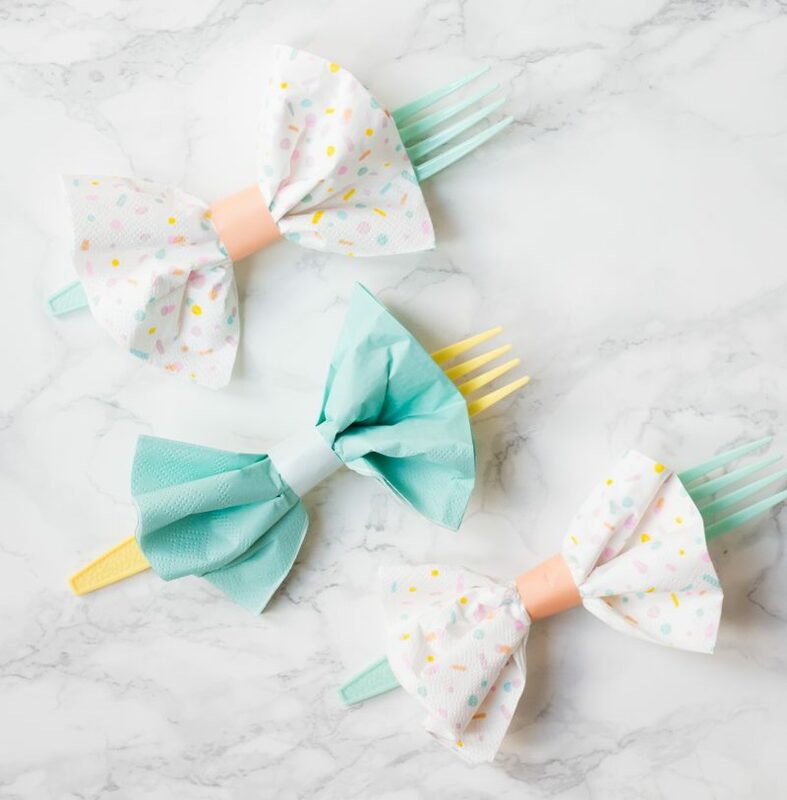 Such a cute party pack to make napkins into bows on your party forks. Yes, please. 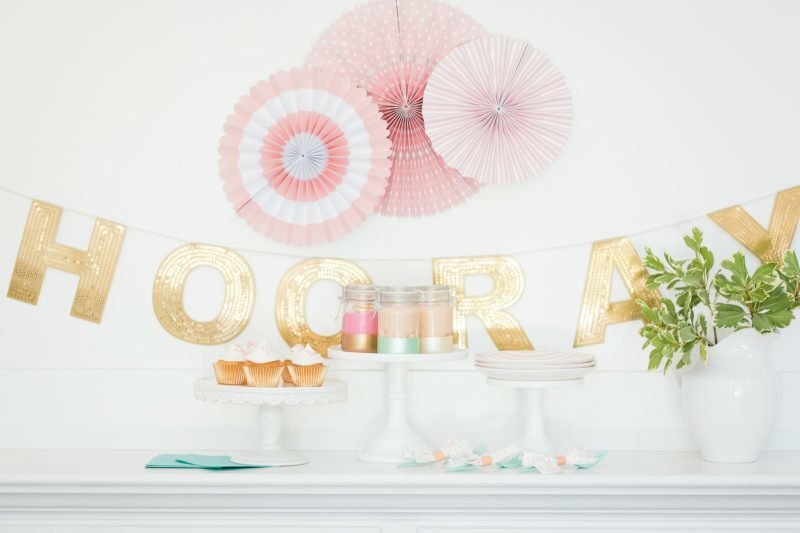 Once again something really simple but the details like this make your party so special. 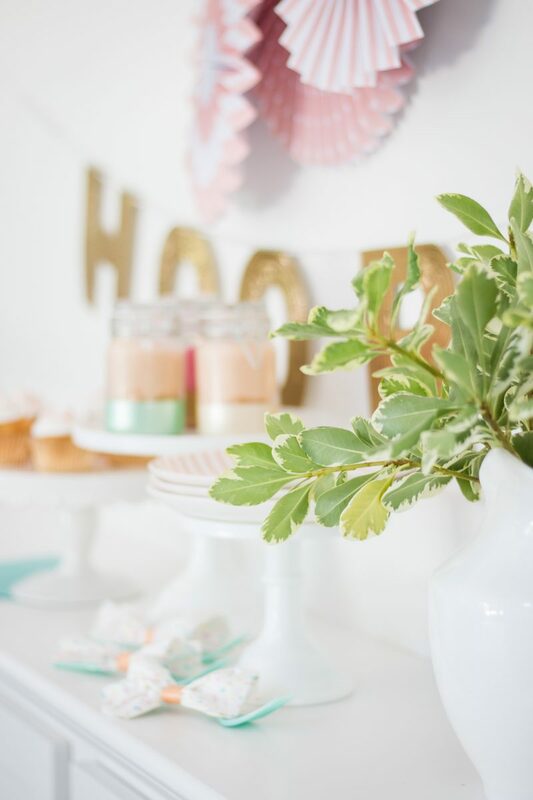 Another trick to keeping party setups simple is choosing one table to decorate. Add a few decorations to the wall and vary the height of your stands and suddenly it looks legit. These green cake pedestals are a great deal and so gorgeous. 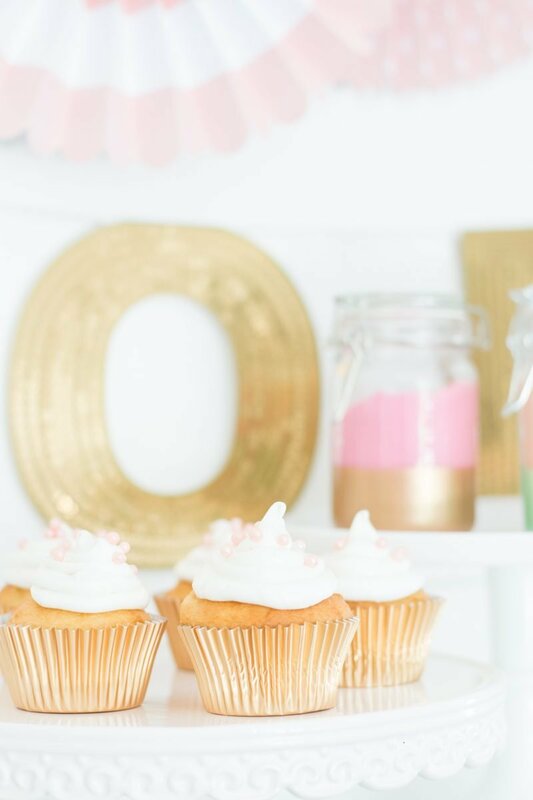 These gold wrappers are also from Michaels and add a touch of glam to your gathering. I like them so much I plan to stock up on more. These were such a simple way to provide non-sugary party favors and hopefully lead to hours of play. Let me know if you try making them. You can check out more fun ideas on The Glue String blog. Yeah…I am so glad it worked! What a fun idea. 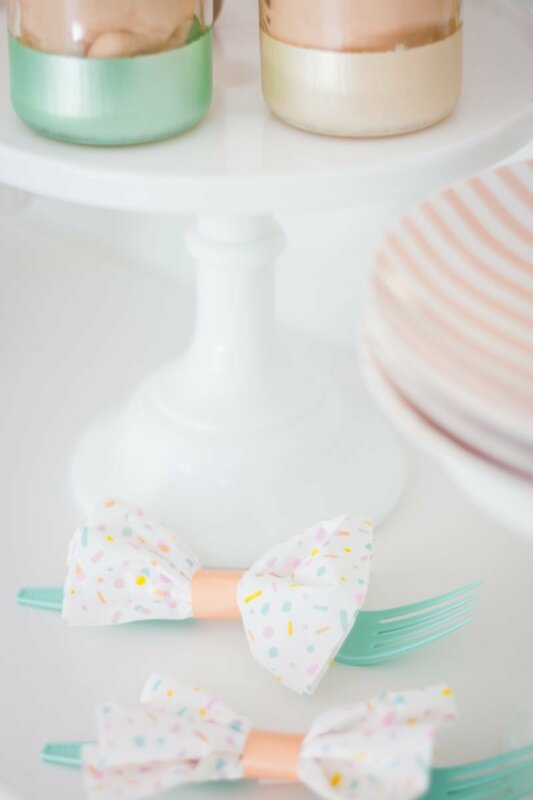 Love all the pastel colors. 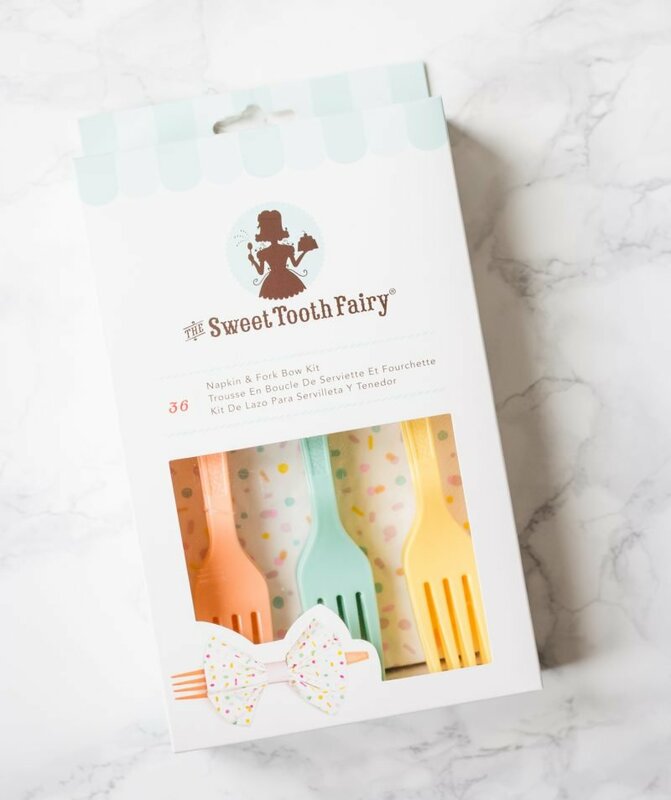 This is such a great idea for a party favor! The jars are so cute Courtney and adding the orange food coloring gives it that extra fun touch . I always loved play dough as a kid. When my niece is a little older we’ll have to make some! Thank you so much, Allison. You and your niece will have so much fun. I don’t know why I didn’t make this when the kids were younger but they are loving it now and R loves to make it! Thank you so much. I am in love with the pearl colors. That mint! Hope you’re doing great, Caley. 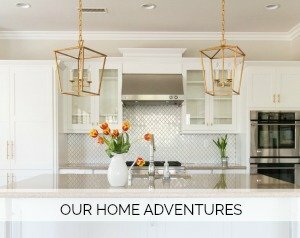 I can’t wait to check them out. What a clever idea. And thank you for the kind compliment. I do feel like I am always trying to come up with unique non sweets to send home and the more ideas the better. . . especially as the kids grow up. You are so right, though. Boys are MUCH harder!